Filming Our House is Near the River. U.S. Embassy Information Officer Ken Yates, in partnership with Afghan Film and Urban Image of Boston, Massachusetts, created a documentary about the land reclamation and irrigation efforts in the Helmand Valley. The movie was made in Dari for local audiences. Its soundtrack featured traditional Helmand folk music selected from a collection of original recordings by Radio Afghanistan. 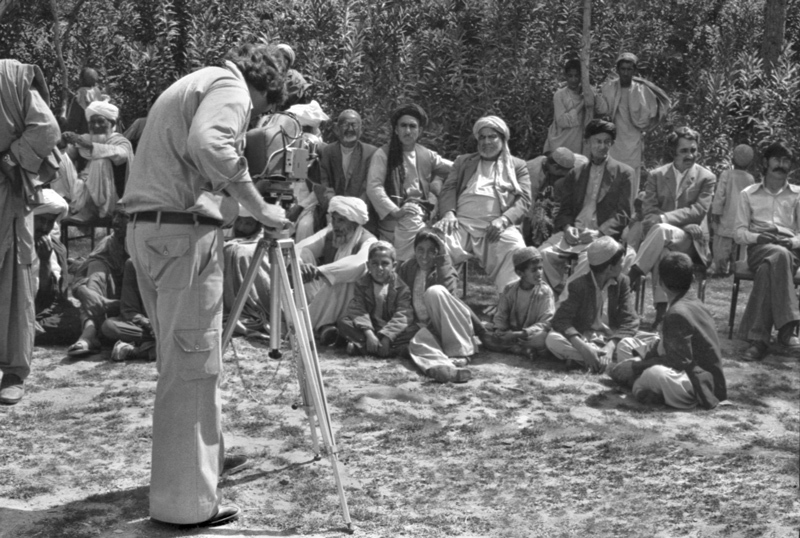 Here, cinematographer Lawrence Rosenblum films a farmers meeting.